Defensive coordinator Todd Grantham and head coach Dan Mullen have said that the switch to a 3-4 defense will help Florida on that side of the ball. One of the reasons for that is the Gators’ depth and versatility at the defensive back position. Florida’s corners will be asked to play disruptive zone coverage on most snaps. Some of the players that will be called upon have gotten meaningful experience at a high level. Junior Chauncey Gardner-Johnson has already been labeled as “one of the leaders on defense” by Grantham. He’ll be crucial in the nickel/safety positions because it might be one of the thinnest on the depth chart. He’s also credited Grantham and the new coaching staff with getting the players in physical condition. Fellow junior Jeawon Taylor played in 10 games last season, and he could come back stronger after a season-ending injury derailed him near the end. Sophomores CJ Henderson and Marco Wilson got valuable playing time last season even if they weren’t always at their best. Wilson described himself as bigger and more physical than he was last season at this point. The Gators still forced a good amount of turnovers last season. The key issue was defending against the big play. Better coaching and more physical players on the outside will help the Gators be better tacklers. As Wilson said, he’s definitely more focused on the basics entering into fall camp. Those four players should serve as the foundation for a “fast and physical” group on the perimeter. 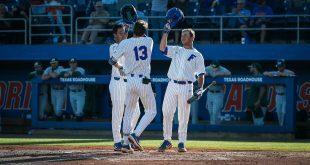 That will allow younger returning sophomores like Brian Edwards, Brad Stewart, and C.J. McWilliams to slowly develop and work themselves into the rotation. Grantham has said that he wants to keep his players fresh on defense. He also wants to bring a number of different blitz packages into the playbook. The switch to a 3-4 zone base will take some of the man-to-man pressure off the corners. But the Gators’ corners will still need to bump receivers off the line of scrimmage and stay tight to their coverage. 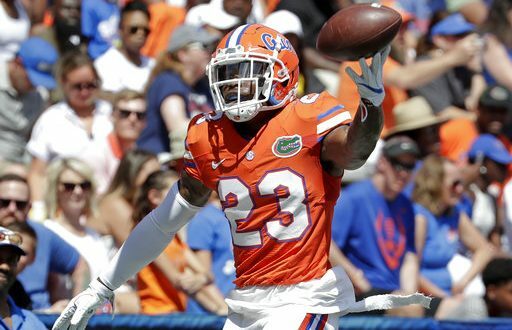 A nice blend of continuity and fresh ideas might just help the Gators’ coaching staff get the best out of their returning defensive backs. What can the newer faces bring? Freshman corners Trey Dean III, David Reese and John Huggins can also provide some excitement for the future. All three are listed over 6 feet tall and look like they fit into the mold of a typical Gators’ corner with various tools. Redshirt sophomore Quincy Lenton only featured in four games last season and could potentially grow into the rotation. Regardless, all of these younger corners will be given ample time to learn their craft under this staff. They’re viewed more as prospects for coming seasons, but are more than capable of playing physical defense already. Defensive back might just be the Gators’ deepest and strongest position on the defensive side of the ball. Gardner-Johnson, Wilson and Henderson can potentially make a serious leaps this season into the upper echelon of corners in the SEC. The depth is there. So is the necessary athleticism, and this staff has been working hard with these players on the field and in the weight room. The Gators’ defensive backs might just be a cornerstone position for Mullen’s defense in 2018.